Rub all the dry ingredients EXCEPT the salt with the oil. Knead with the water until a dough is formed. Add the salt and knead one last time only to incorporate the salt. Let the dough rest (ferment). Squeeze out the excess water and set aside. Either shape the dough into small balls and roll them out into 1/2 cm thick disks, or roll out bigger batches of dough and use a cutter to have even-sized disks. Put some of the filling in the middle of each disk. Fold each circle into a triangle. Arrange the bureks 2 cm apart. Brush or spray them with oil. Bake them until they are golden. We serve spinach burek as a side dish to any soup. You can serve spinach burek as an appetizer or a salty snack. 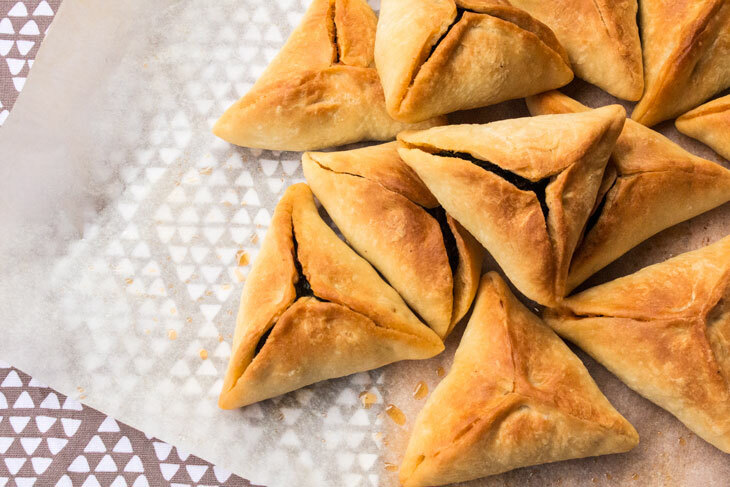 Some people like to squeeze lemon on the filling while they take bites into these yummy bureks.